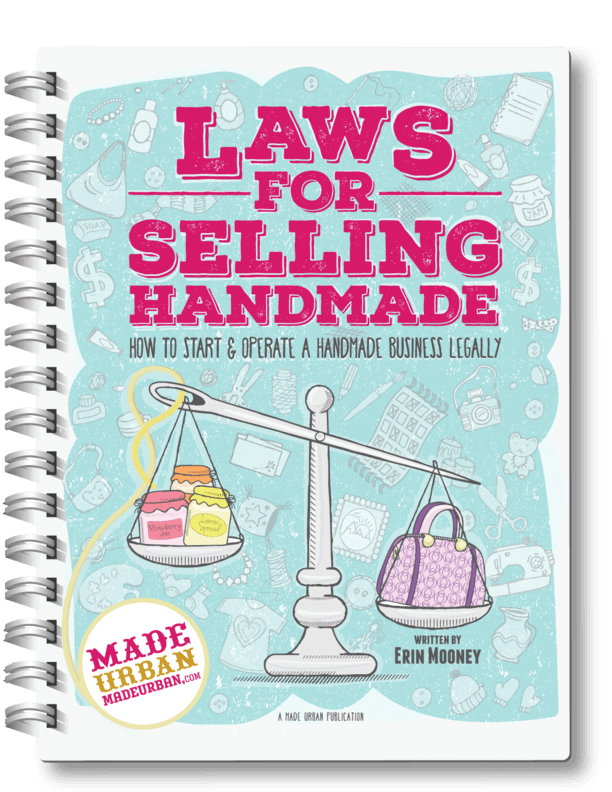 When it comes to selling handmade, you need multiple ways to get your name out there and sell your goods. 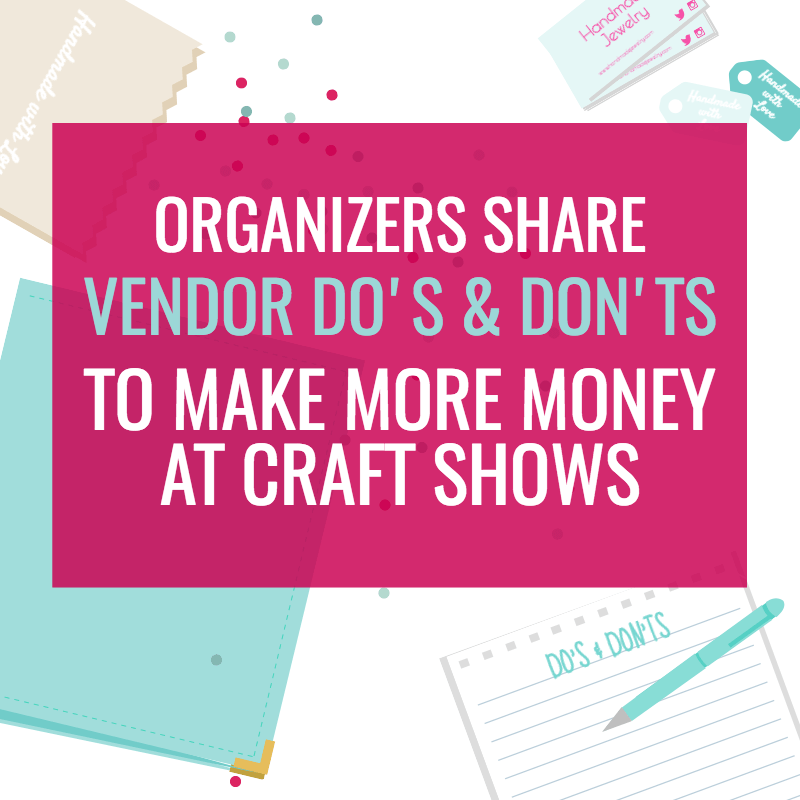 Craft shows are one piece of that puzzle. They allow you to test your products, meet local customers and make a lot of sales in a short period or time. 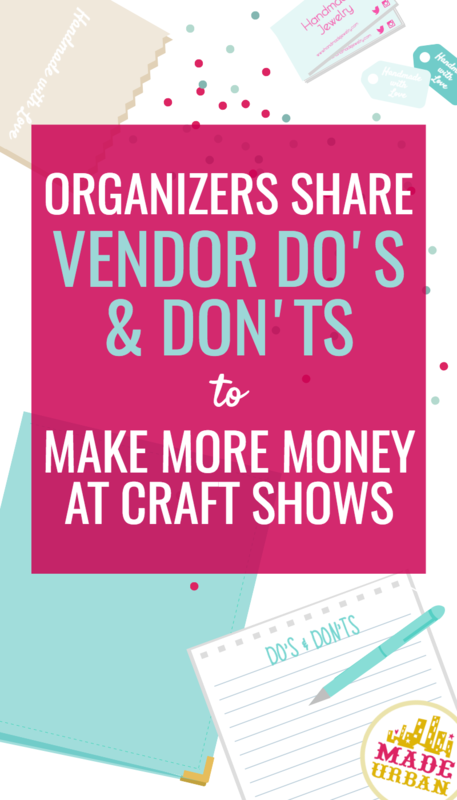 There are so many great craft shows and markets out there but they’re also getting more competitive. It’s not enough to just apply and show up with a handful of products; you need to be sure you’re putting effort into your application & booth display and practicing your selling techniques. Alberta, Saskatchewan and Ontario to give us some advice on applying, setting up, selling and proper etiquette at a show. Check out these 4 market’s bios and read their advice below. 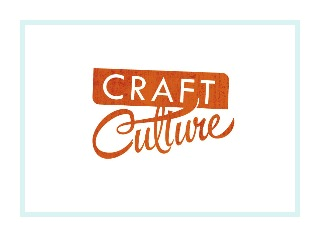 Craft Culture (formerly the Kelowna Christmas Show) produces 2 shows annually in beautiful and sunny Kelowna, BC. We are a juried craft fair, featuring talented crafters and artisans from all over Western Canada . Our events are the biggest of their kind in Kelowna, always resulting in big crowds and happy customers! with vintage and vintage inspired products. Shabby Chic, farmhouse and rustic styles from local artisans and shop owners. 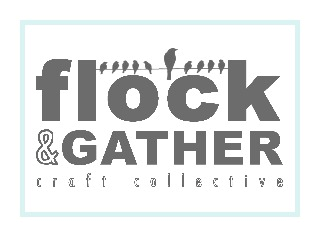 The FLOCK & GATHER craft collective is a non-profit organization that hosts semi annual handmade markets in Saskatoon, Saskatchewan. The collective consists of six members, Amy Smith of Three Leaf Designs, Ashley Merkle of Clair Ashley Jewelry, Bonnie Thiessen of Mimi and Lala, Mike Zimmer of Uncle Mike’s Natural, Natasha Just of Just Sewing, and Ricki Skoretz of Hiddenstitch. We aim to bring together a community of people that support handmade artisans. We are committed to presenting a diverse selection of finely crafted handmade items. Each juried market presents a changing list of both local and regional makers. Spring Finds & One-of-a-Kinds is an exclusively handmade craft market where shoppers can expect to find unique items from a variety of talented and local artisans. Light refreshments and a popular local food truck will be available and our grand prize basket raffle will benefit a local women’s shelter. What gets an application immediately tossed out of your pile? Craft Culture: I’ll admit, I’m a big softie… I rarely toss an application out without a bit of follow up first. However, preference is definitely given to vendors who complete the application properly with good photos and a detailed description of their products. It seems simple, but you’d be surprised at the amount of applications that are submitted with zero information. Not only is it impossible to assess the vendor properly to see if they are the right fit for the show, it also shows a lack of effort and an inability to follow directions. Professional photos and active Social Media accounts go a long way too! Good photos shows us organizers that you are serious about your job, and being active on social media means you can do your part in advertising the event and getting the word out there to your followers. Flock & Gather: Jurying is an incredibly difficult process. Applications will be discarded for several reasons. Any craftsmanship that appears to be of poor quality will immediately get tossed. Sometimes products are better suited for different seasons. For example, crocheted and knitted items are typically juried more heavily for our winter market than our spring market. Some vendors are super crafty and make several different types of products in various categories. These are the most difficult applications to jury and often become discarded for lack of cohesiveness. Our advice is to stick with what you do best. Focus on a theme or brand. This will help in designing an effective booth display as well. Lastly, and possibly most importantly, send good quality photographs that highlight your work. Remember that you are not able to show the jury what you make face to face; effectual photography is the next best thing. 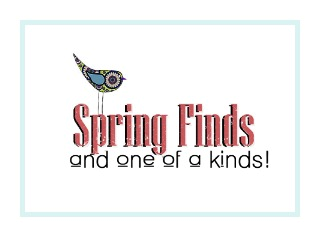 Spring Finds & One-of-a-Kinds: An application will get rejected usually because the vendor did not take the time to read through the vendor call and make sure their product/service fits well with what the organizers are looking for. For instance, direct sales vendors don’t have a place in a handmade craft market, or vendors with adult-targeted goods at a baby/child expo. Knowing the targeted audience will help you to decide if it is a good fit for your products. Late payment and application submission are also high on the list of reasons for potential rejection. If the vendor is truly committed to being part of a show, they will do their best to return any documents and payment in a timely manner. What are the key elements that make a great display that draws customers in? included!) feel a bit awkward asking the price – it makes you feel a bit guilty to get into a conversation with a vendor, and then walk away after discussing the cost. You might have the perfect product at the perfect price, but customers are walking right by because they don’t want to start up a conversation. be, your best seller, at a previous market. Flock & Gather: Once you’ve chosen a theme or brand for your products, reinforce this theme in your display. Use clear, easy to read banners and signs. Do some research and take ideas from booths that draw you in. Use varying depths and levels to draw the eyes of your customers through your entire booth. Using various heights can make your booth look exciting, even from a distance. Repeating the same pop of colour is an effective way of drawing the eye throughout your display. However, make sure when you choose colours that you choose ones that add to your products, not detract from them. If you’re products are bright and colourful, a neutral booth may be more effective. Display a balanced amount of product so that your booth looks neither sparse nor cluttered. Clearly present information on your product and who you are. Some customers are intimidated by having to ask prices so have all products labelled and visibly priced. Spring Finds & One-of-a-Kinds: A great display uses neutral materials such as tablecloths, stands, baskets and the like to showcase the product. This ensures the product stands out and doesn’t compete or clash with the display. Adding height to a table/booth allows customers to see your items from a distance which helps draw them in. Create tiered sections for product on the tabletop and make creative use of any available floor space. Clearly marked pricing and offering different price points will allow shoppers to browse at their leisure without having to ask repeatedly for prices, which may deter them from your display. What do the busiest vendors at an event have that sets them apart and helps them sell more? Craft Culture: GOOD VIBES! Attitude is everything! If you want to have a great day with lots of sales, then you need bring a positive attitude to the show. Your day should be focused on customers and SELLING! We all know that every show has at least one “Negative Nancy” – the vendor that spends the entire day complaining about the venue, show management, parking, their neighbors, the smell, the music, the food, the list goes on and on. Those vendors always have horrible sales. They focus all their energy complaining and gossiping instead of selling, and then wonder why their day was so bad. If you are sending out positive energy, people will be drawn to your booth and I bet that will be reflected in your sales! You pay good money to participate in markets and craft fairs – make the most of it despite any circumstances! Vixens of Vintage: Unique products, and a WIDE VARIETY! I cannot stress this point enough. If a vendor has only a few different styles of things that may be similar to something a few booths over, and that other booth has that product plus a wide variety of others, chances are the customer is going to purchase from the other booth. Plus, you want the chance at having a repeat customer, away from the market. The only way to do this, is variety and uniqueness. We all know we do markets to promote our business and of course….sell product. But we also use the markets as an advertising opportunity, and the one sure way to have a repeat customer is to produce something that sets you apart from everyone else. Flock & Gather: There’s no science to understanding why some vendors do better than others. It may be a result of a captivating display. It may be due to pricing. Hopefully, the busiest vendors are those selling the most unique products of the highest quality. Customers attending a handmade market are most likely looking for something that is truly one-of-a-kind. Spring Finds & One-of-a-Kinds: A smile! Shoppers are more likely to buy from a vendor that is friendly but not pushy. Encourage people to handle your products and make sure a mirror is part of your display if you offer wearable items. If you are able, bring something related to your craft to work on between shoppers. Customers love to see a crafter in action, which often leads to ice-breaking conversations and sales. Make sure to bring plenty of business cards and enough change for cash sales. Consider a portable payment processor for more payment options. the official closing time is considered bad etiquette. Customers who walk through the doors expect to be able to shop right up until closing. It can come across disrespectful if vendors act like they are more interested in getting out of there quickly, rather than focusing on patrons. 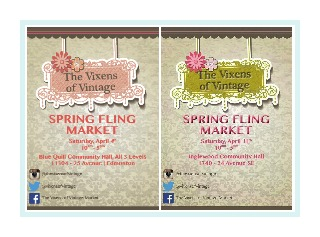 Vixens of Vintage: One major market no-no is MOVING OUT before the market closes. Or any type of closing up shop, before the market ends. I can honestly say as a show producer, this one is tops on my list. I do not invite vendors back that have not followed this rule. If the market closes at 5, tear down of any kind, begins at 5:01. We owe it to our last customer, to have the same show, (hopefully with less product) same vendor attentiveness, same vendor attitude, as our first customer. Flock & Gather: A major no-no for vendors is presenting a negative attitude towards the market organizers. Jurying is really difficult, please don’t take a rejection personally. Remember that the same people may be jurying your work in the future so try to stay positive and remain professional. When you are selected to be a part of a show, respect the vendor guidelines presented by the organizing committee. A major no-no for customers is bartering. An artist sets a price for items based on their material costs and the time they’ve put into the item. Please do not insult a maker by offering them less. passive vendor will generally not end in a successful day out. Put away cellphones or other distractions unless it is directly related to your craft. Avoid eating in front of shoppers, bring a friend to cover bathroom or food breaks if possible, or at least try to keep it very discrete. Negative comments about the venue, shoppers, or other vendors is in extremely poor taste. Nothing turns off a shopper faster than a vendor with a bad attitude. To step up your craft show display, join our FREE email challenge: 5 days to a standout display. For more info on any of the events, please visit their websites or listings on Made Urban! Great advice! Huge thank you for sharing all this wonderful info to a first timer looking to get involved in more shows! Some good pointers here, thank you. I have been doing sales for 10 years and I fully agree with so many of your points. I can certainly add a few more from a vendors perspective, but I think a list of tips for organizers should be next. Great idea Heather! We will definitely work on an article like that 🙂 Thanks for reading! I would like to know if you consider having a food vendor ( giving out free food) placed directly next to a candle vendor is poor placement? I think the smell of food would be detrimental to the candle vendor or vice versa, also customers who are in the process of eating are not going to stop to smell a candle.